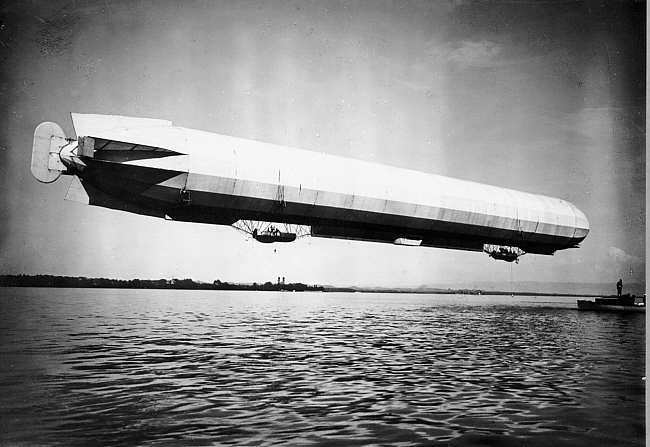 4 August 1908: Ferdinand Adolf Heinrich August Graf von Zeppelin, to demonstrate the capabilities of his airship, LZ 4, departed from its floating hangar on Lake Constance at 6:22 a.m., 4 August 1908, on a planned 24-hour round trip down the Rhine to Basel, Strasbourg and Mainz, then back to Stuttgart, a distance of approximately 435 miles. 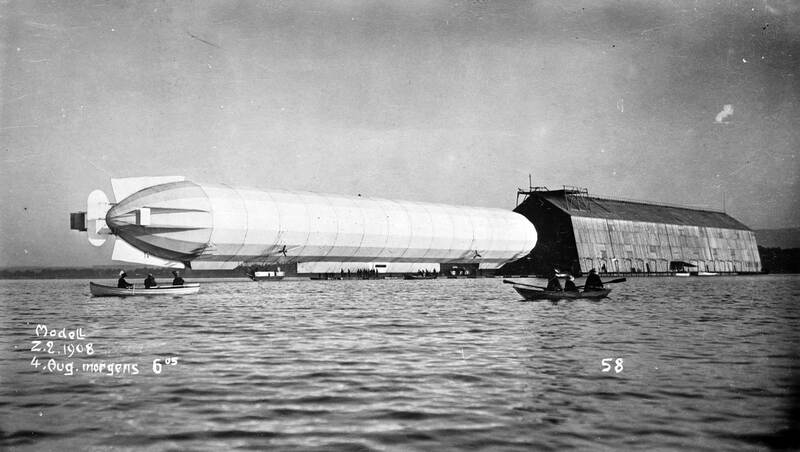 LZ 4 leaves the hangar on Lake Constance, 6:05 a.m., 4 August 1908. 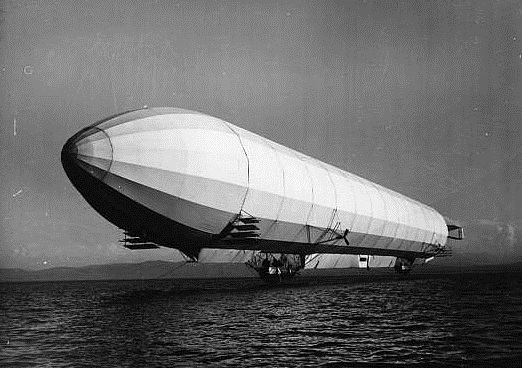 LZ 4 was 136 meters (446 feet, 2 inches) long and 12.95 meters (42 feet, 6 inches) in diameter. 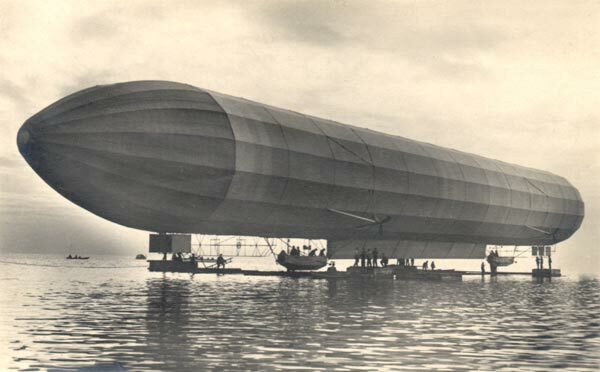 Buoyancy was provided by hydrogen contained in 17 rubberized cotton gas bags inside the dirigible’s rigid structure. 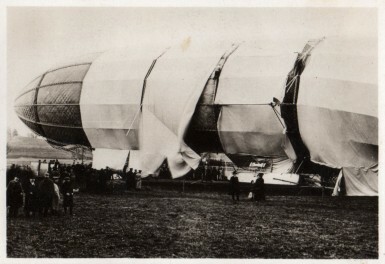 The total volume of the airship was 15,008 cubic meters (530,003 cubic feet). It was propelled by two Daimler engines, producing 105 horsepower each, and driving three-bladed propellers. Its maximum speed was 48 kilometers per hour (29.8 miles per hour). LZ 4 over der Bodensee. 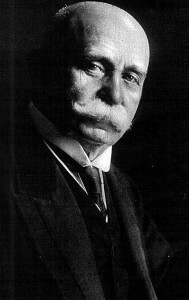 26 May 1909: The creation of Count Ferdinand von Zeppelin, the rigid airship LZ-5 made its first flight at Lake Constance (Bodensee). 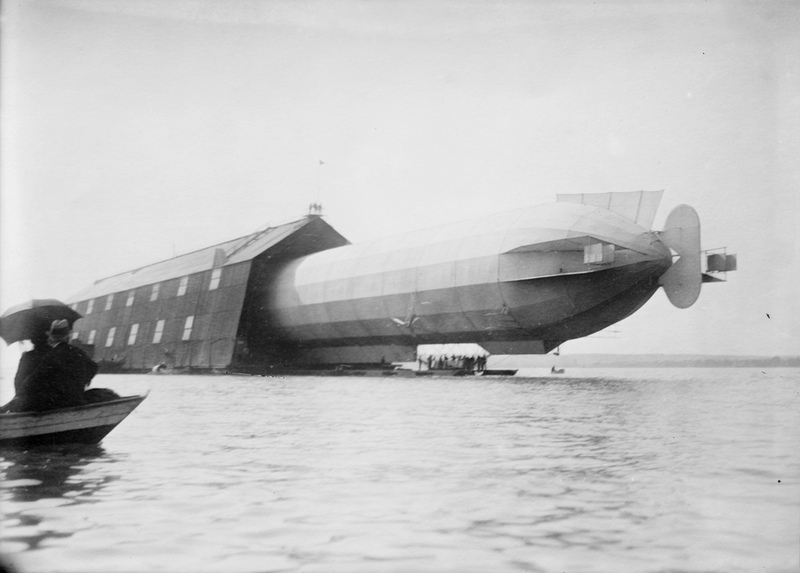 This was an experimental airship, 442 feet (136 meters) long, with a diameter of 42 feet (13 meters). Powered by two Daimler engines producing 105 horsepower each, it was capable of 30 miles per hour. 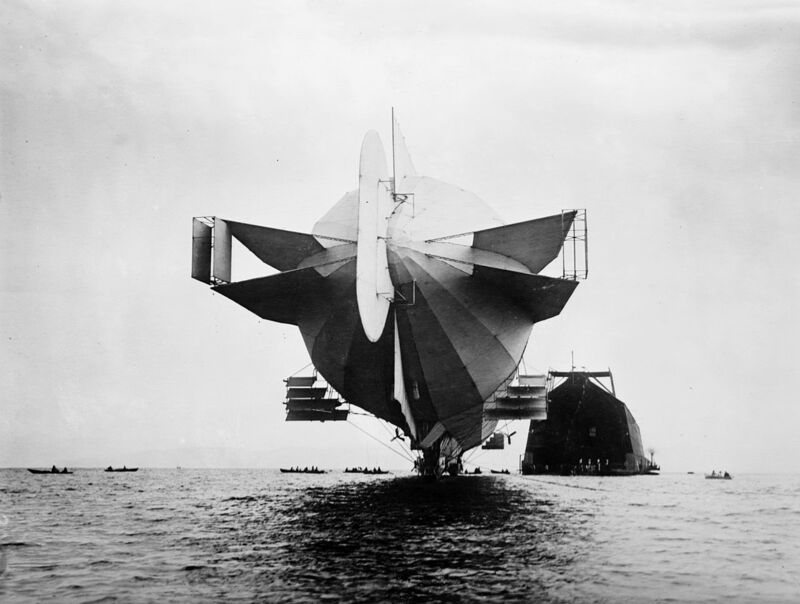 The structure of the airship was a framework built of a light alloy covered with a fabric skin. Buoyancy was provided by hydrogen gas stored inside the envelope. 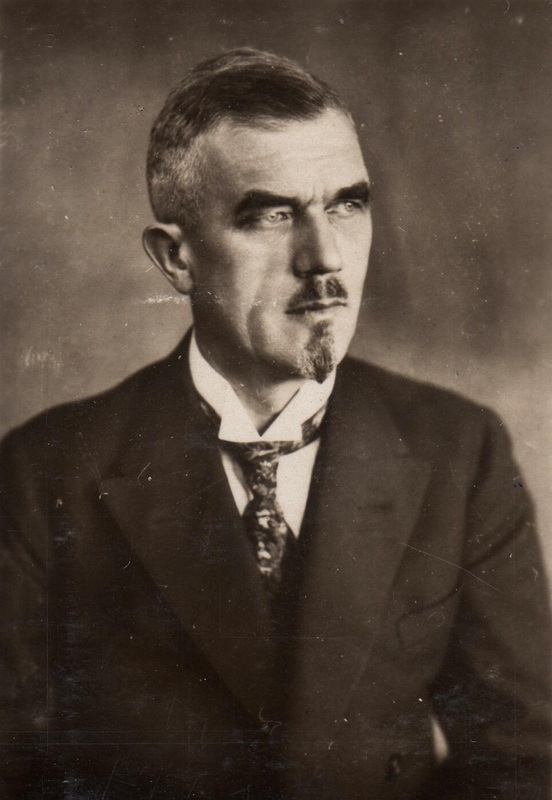 LZ-5 was purchased by the army and renamed ZII. It was destroyed in a storm 24 April 1910.